I won't name it, but there's a small store selling stuff off the square in Decatur that charges a 50 cent admission fee. (It counts as a credit against any purchase.) I've never heard of a cover charge for a retail store, and that placed doesn't appear to have a lot of foot traffic to start with. NYPD has demanded that Google not allow Waze to identify DWI checkpoints (which it does based upon user submitted information.) Sorry, it doesn't work that way. That is the very definition of free speech that the government cannot censor. This may only entertain lawyers who have been on the bottom of the totem pole in a law firm, but look what this newbie did to get suspended by the bar for six months. Hypothetical on the radio yesterday: Would you take $1 billion if it meant you no longer had your sense of taste? That's a no brainer. I'd do it for a million and probably far less than that. Speaking of the Tarrant County DA's office, a law firm in Fort Worth just released an amazing data analysis of prosecutions in the county. It is top notch work, and I urge you to take a look at it. Prosecutions are up at a greater rate than population increases, case resolutions are down, the budget is up, and conviction rates in trials are shockingly low. Then there are crazy gems like this: Marijuana has somehow become Public Enemy #1 in Tarrant County compared to the rest of the state. I had never heard of this "conservative talk show host" but he was killed after apparently jogging so close to a train in Haltom City that he was struck. Who jogs that close to a track? Plus, if your not between the rails it's not exactly the smoothest surface to jog upon. 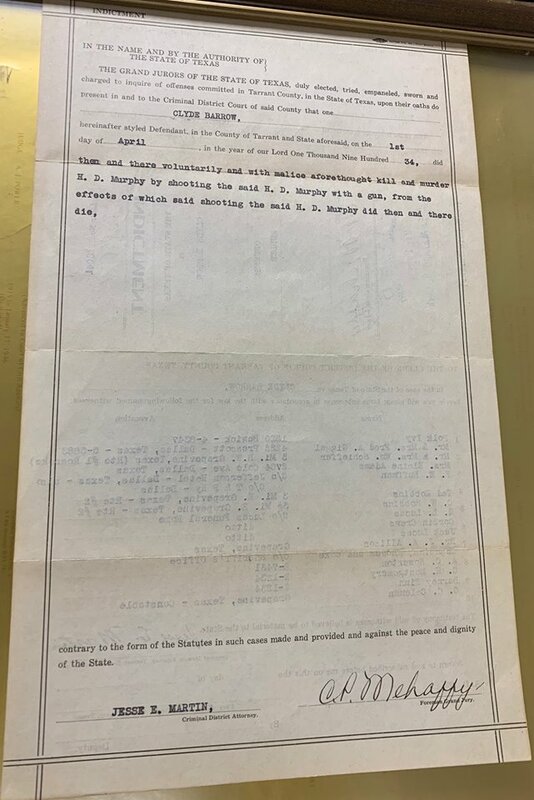 The Tarrant County District Clerk's office is imaging old records and last week found Clyde Barrow's indictment for murder of the cop in Southlake off 114. The case was later dismissed because "Defendant deceased." I saw that kicker Matt Bryant was released by the Falcons yesterday, and it got my attention since he had been with the league for 17 years. (He went 20 of 21 on field goals last year so I'm not sure why they fired him.) But this is why it gets a bullet point: The Dallas Cowboys signed him on August 17, 2004, and cut him two weeks later. 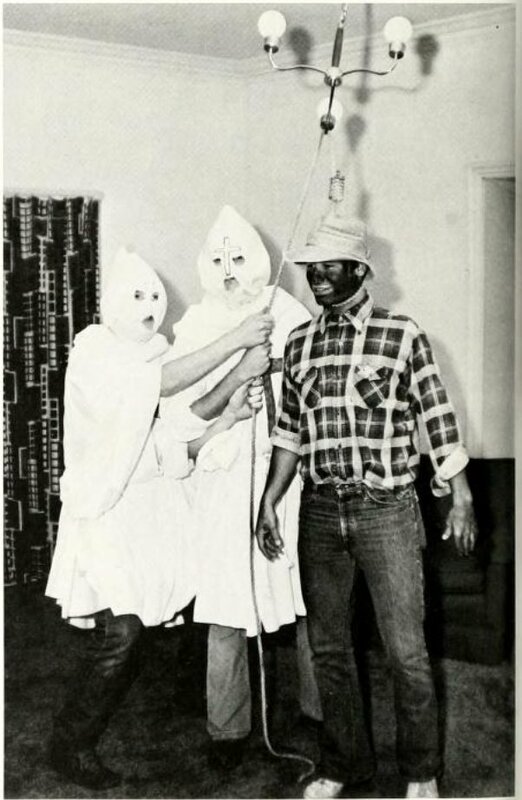 From a North Carolina reporter: "Randomly flipped through the 1979 UNC-Chapel Hill yearbook today just to kill some time, and found this photo on one of the fraternities' pages. Holy [crap]." Here's a thought about another racist video showing up in Southlake: Aren't there probably at least a hundred of those things created in the metroplex every week that we never hear about?